Marek Reichman, Design Director on the DBs and DB9 along with Julian Wiltshire who is part of the Aston Martin design team both made a visit to Teesside University today where they met Ambient Life photographer Tim Wallace and opened a student design exhibition. 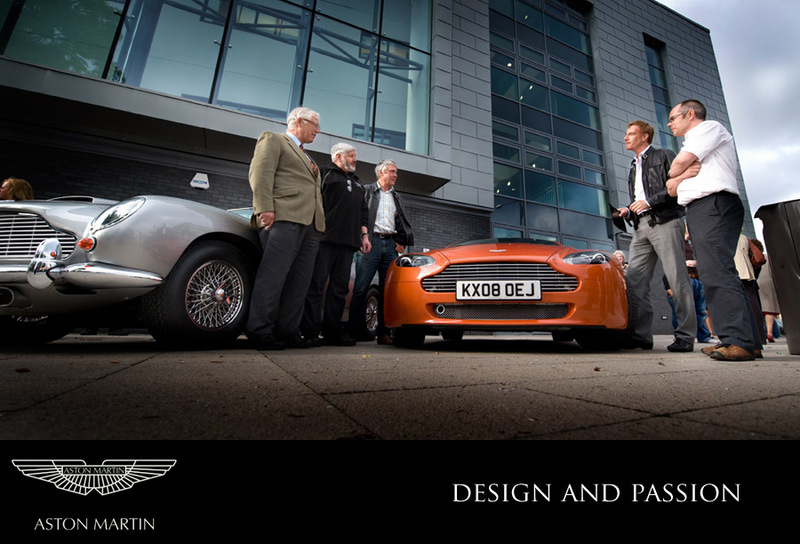 Marek Reichman, Design Director on the DBs and DB9 along with Julian Wiltshire who is part of the Aston Martin design team both made a visit to Teesside University today where they met Ambient Life photographer Tim Wallace and opened a student design exhibition. The exhibition featured Product, Special, and Graphic design elements across 3 floor levels. The show is on for 1 week showing the current students work. Both Marek and Julian were form from Teesside University originally and left in 1989 to go onto work with Aston. Its rare that photographers get to meet the actual designers and it was a great chance to discuss just how the Aston range has developed over the years from a design perspective. Tim - "It was great to talk with Marek and he has a real passion for the design work he does at Aston. In my role of photography the main client is often most particular in showing certain aspects of the car that tend to be more normally based around marketing value, where as designers are possibly just that little bit more appreciative of the style and lines that some of my work exploits in the photography I produce. Julian, a self confessed fan of our photography told me that several of my Aston calendars are located around the main design area which is a great accolade for us and what we produce here at Ambient Life."